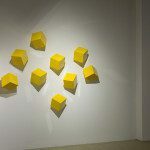 Using a non-representational geometric language, LA-based artist Lori Cozen-Geller creates glossy, opaque sculptures that evoke personal narratives through abstract forms. 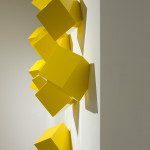 Her vibrant incised shapes are visually striking. 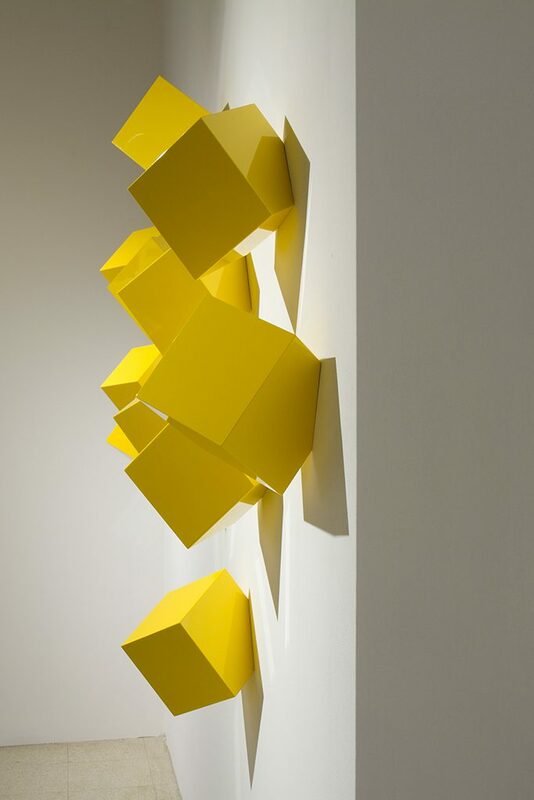 Their smooth curved lines or angled corners cast shadows on the walls on which they hang. 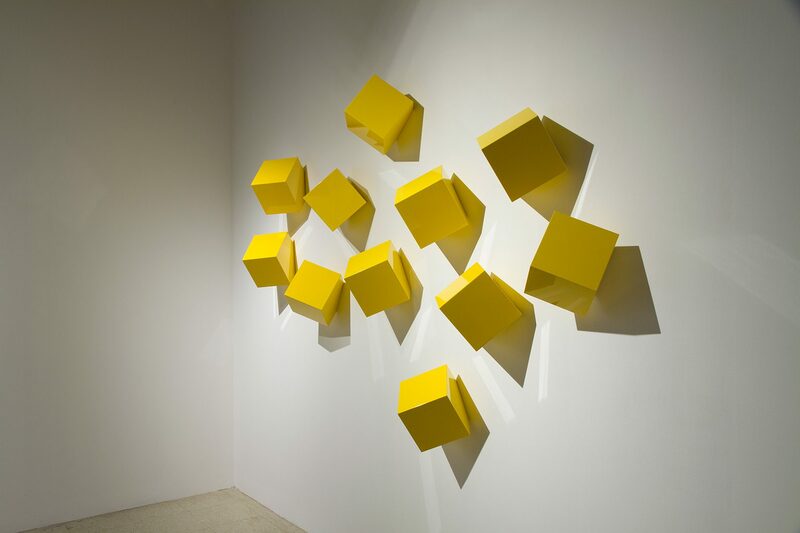 Although her colourful pieces are weighty and insistently material, they subtly refer to an absence. 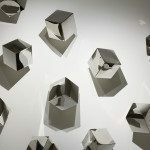 Despite their polished finish and structural precision, the wholeness of Cozen-Geller’s opaque shapes is broken as small incisions have been carved out of the forms. 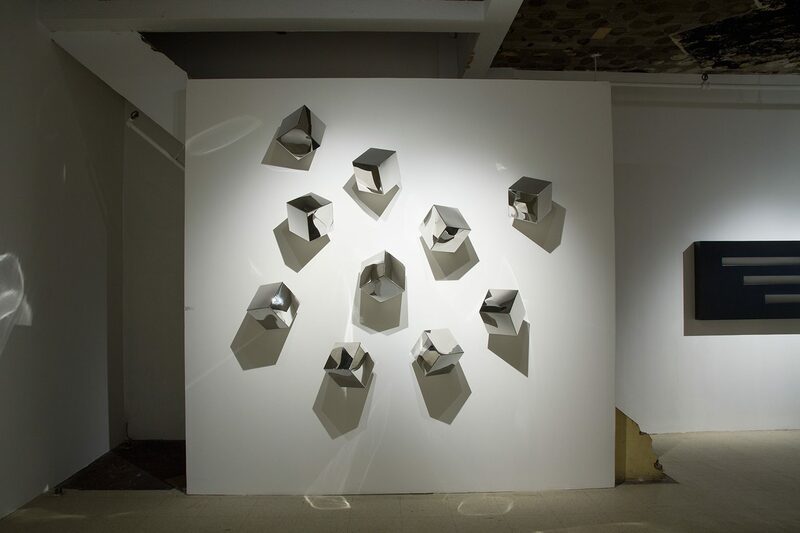 Emerging from solid foundations and leaving a void, the cut pieces hang a few inches away from the larger shapes, and are angled accordingly. 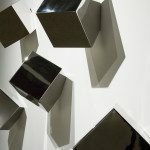 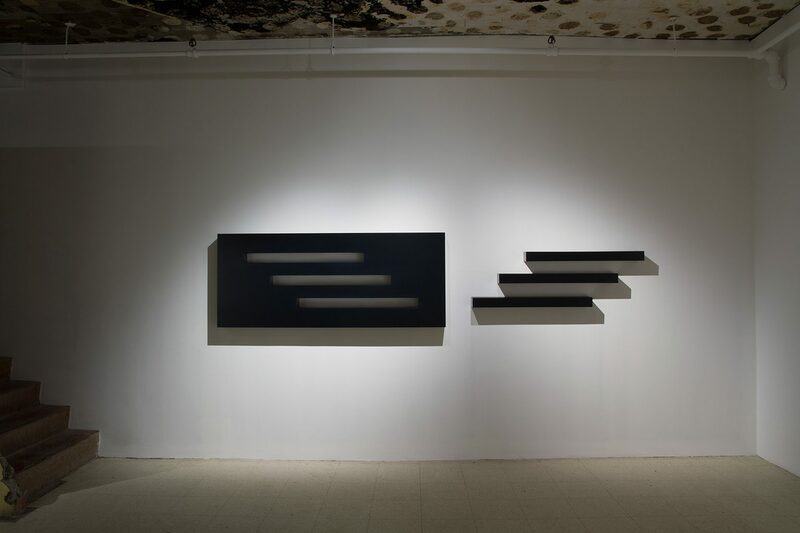 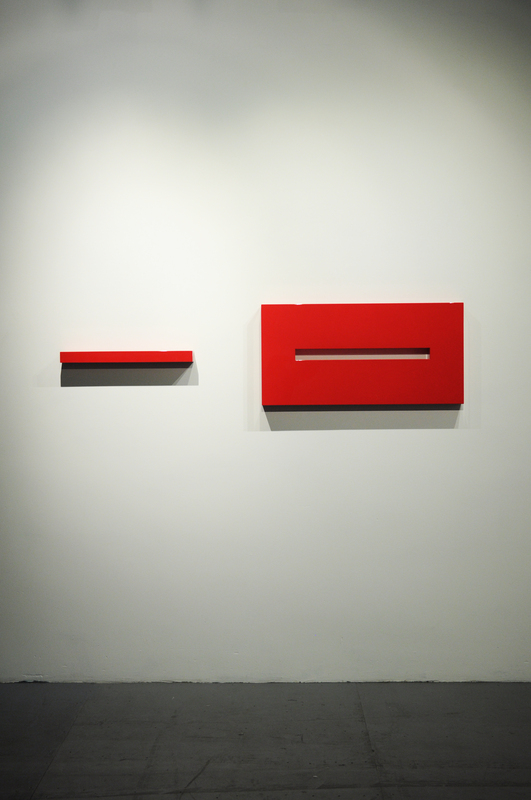 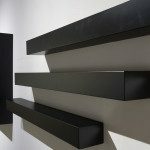 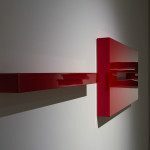 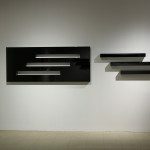 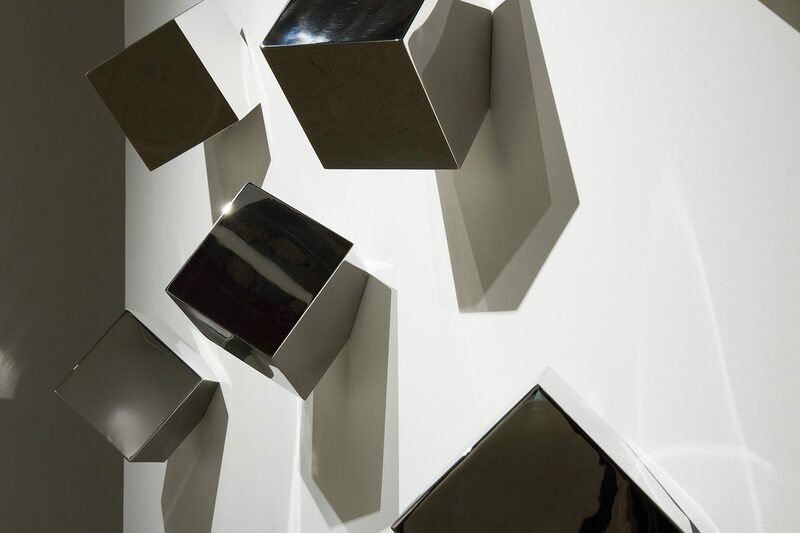 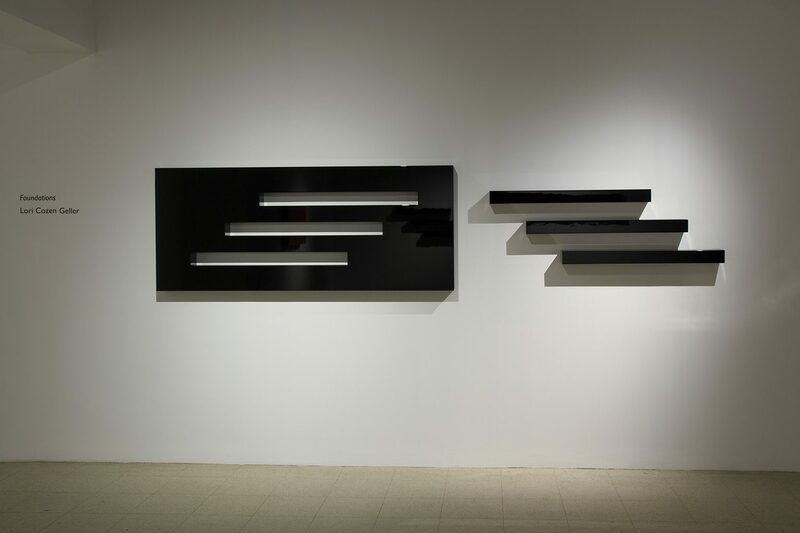 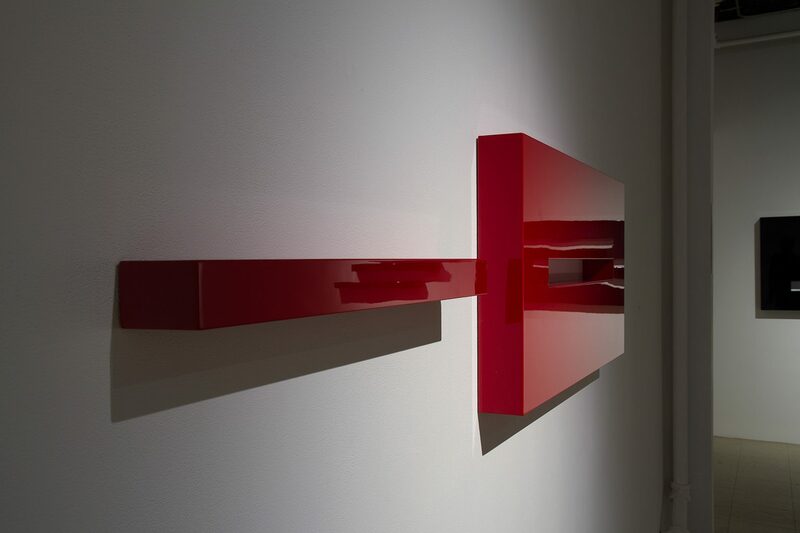 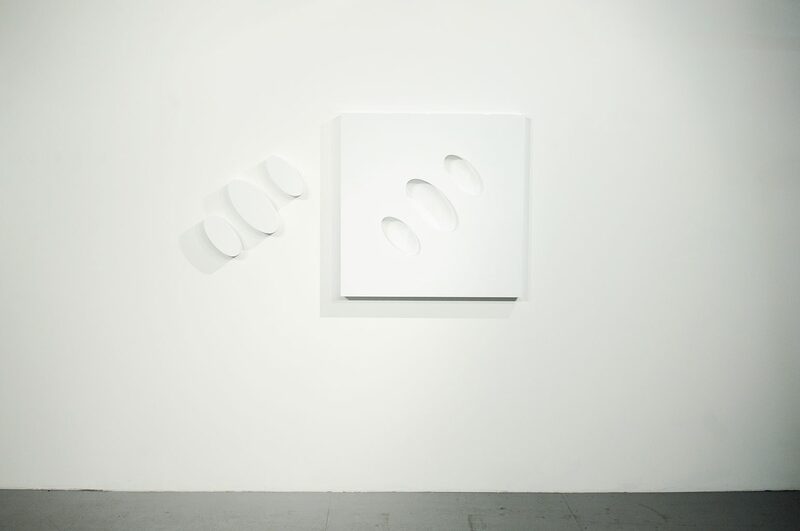 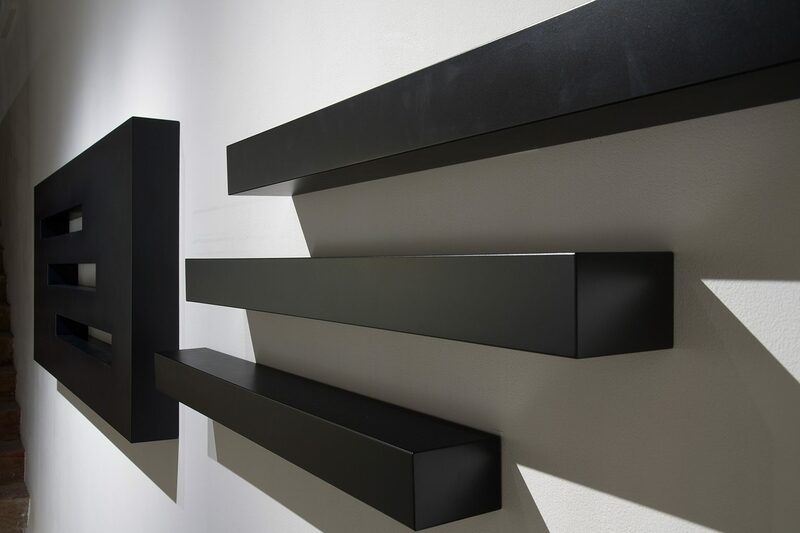 In Foundations (2015), a matte, black rectangle which hangs horizontally on the wall, Cozen-Geller has cut out three indented slits. 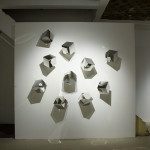 The incised pieces lie horizontally and are aligned with the empty spaces left behind by the carvings, thereby playing with positive and negative space, and materializing a void. 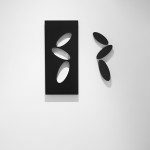 According to Cozen-Geller, who cultivates an interest in genetics, this interplay between positive and negative space evokes the unravelling of family histories and the genetic, social, and environmental factors that shape an individual’s identity. 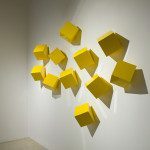 What is the relation between the smaller shapes and the larger shapes? 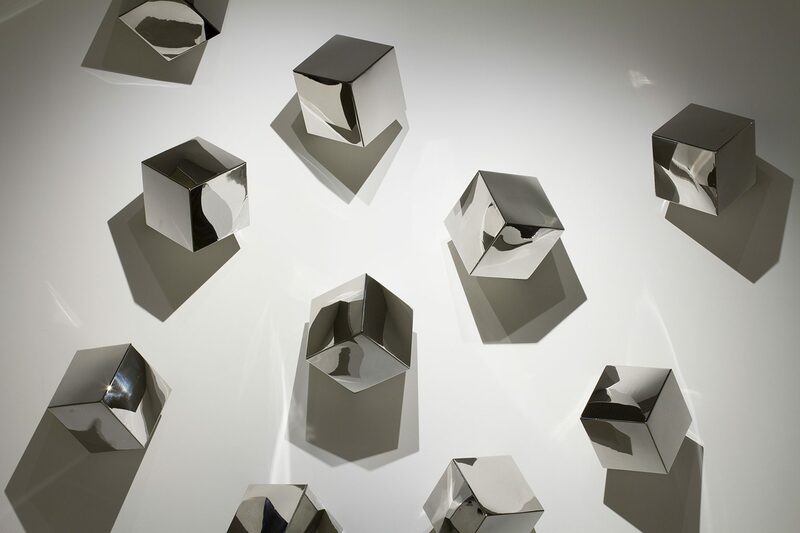 How are individuals shaped by genetic and environmental factors? 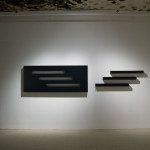 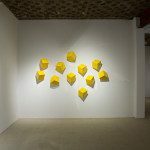 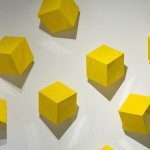 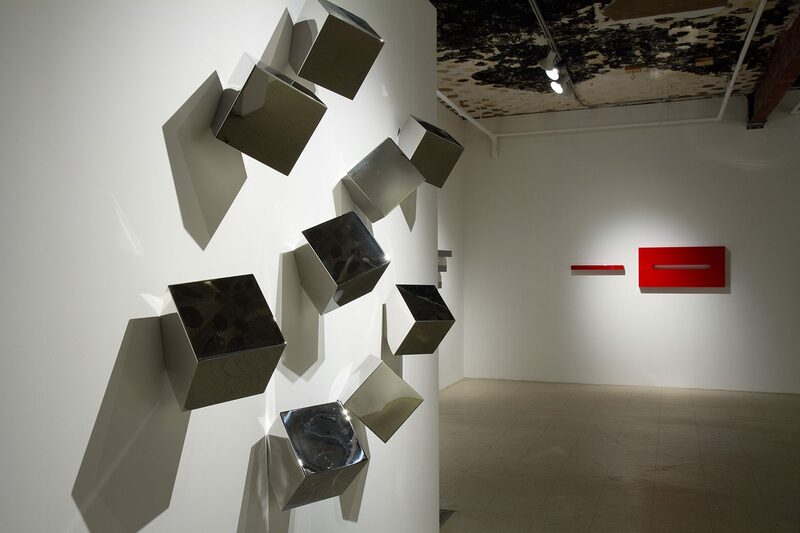 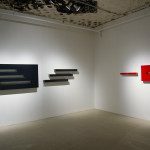 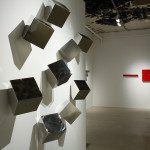 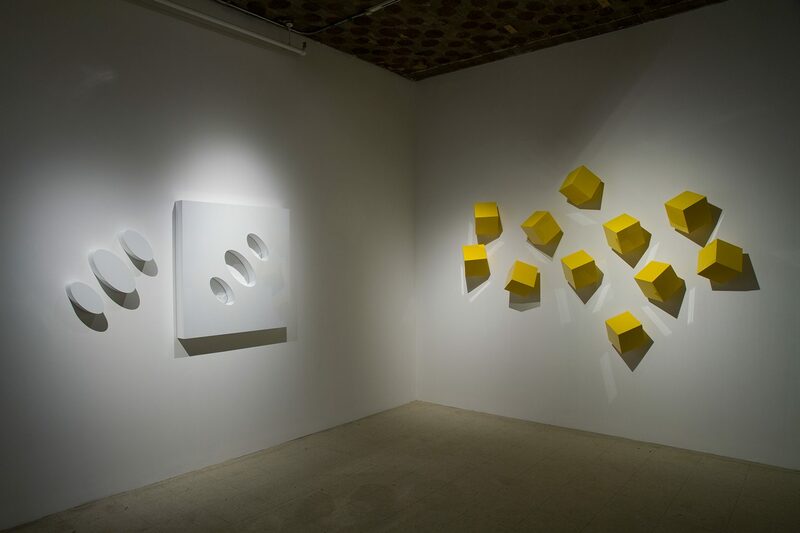 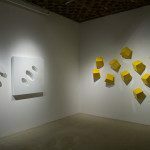 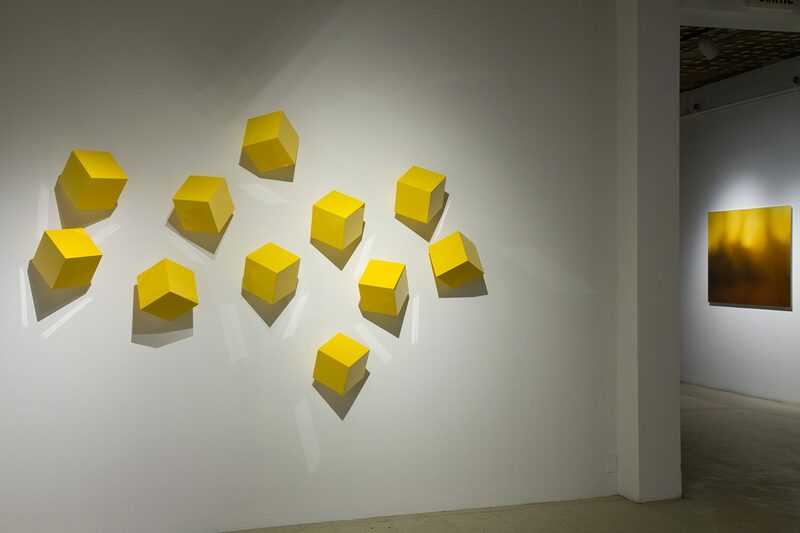 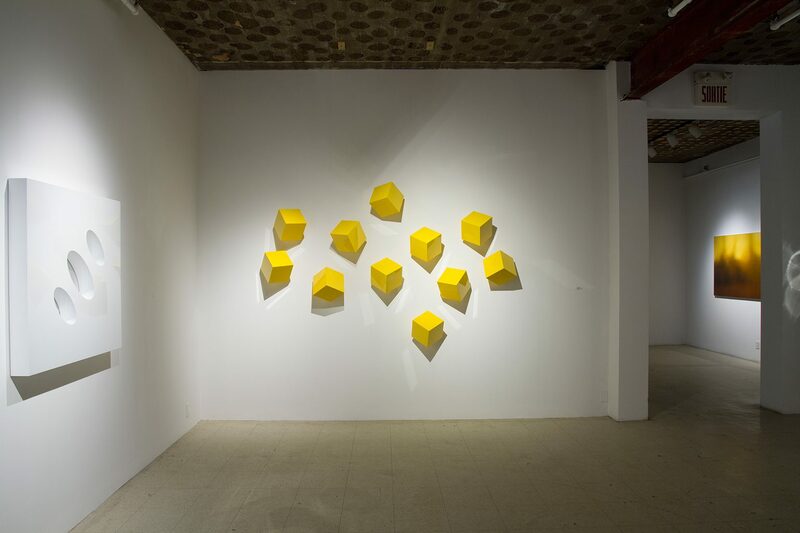 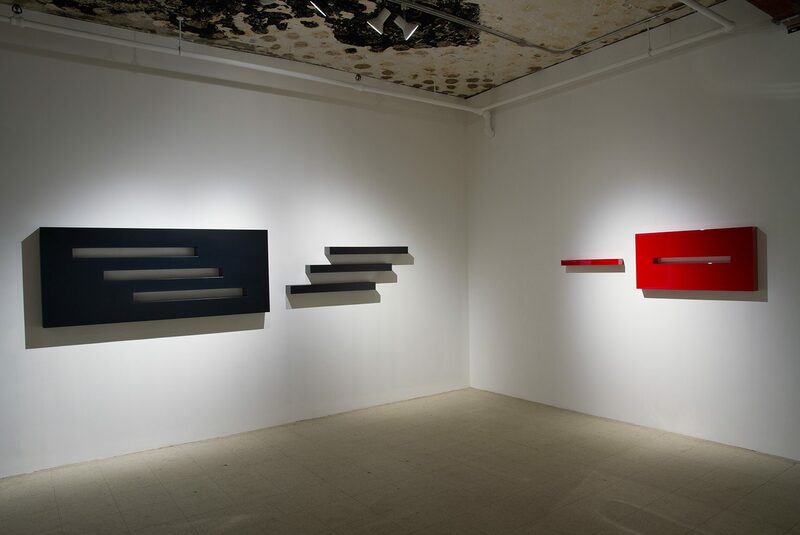 Cozen-Geller’s simple geometric arrangements and use of automotive paint may seem to reference the principles espoused by Minimalist artists, who often worked with industrial materials to create modular or serial configurations. 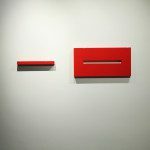 However, the artist’s works do not evoke the impersonal austerity of Minimalist works and are not void of expressive content. 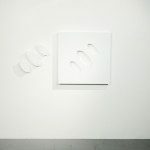 Emotions play a central role in Cozen-Geller’s works, which, despite being highly personal, attempt to speak beyond her personal experiences. 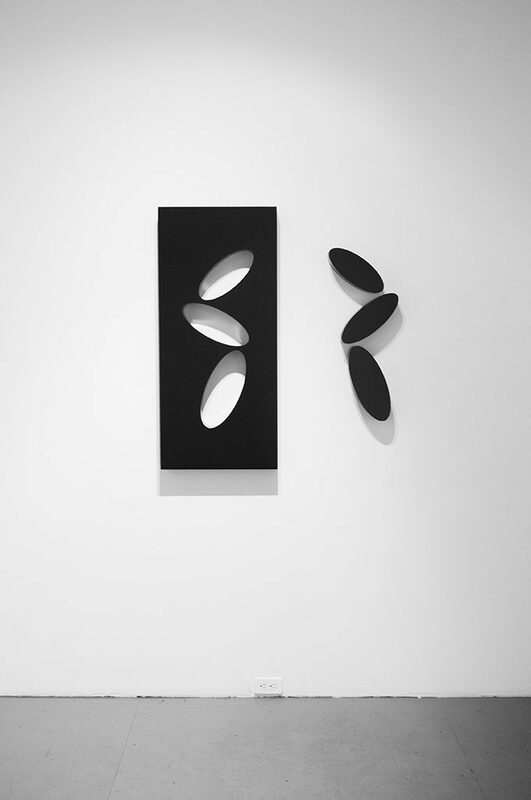 Cozen-Geller’s first exhibition at Art Mûr raises questions about her family history, as Montréal is the birthplace of her father. 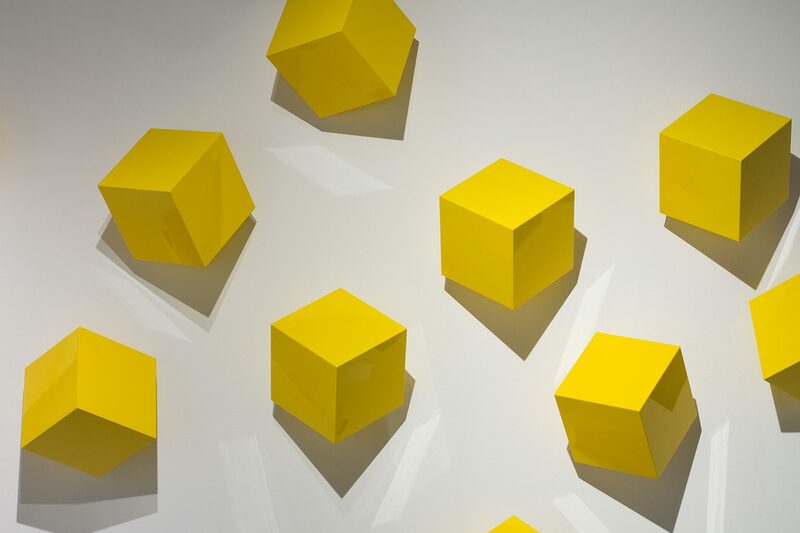 The works in Foundations explore and uncover the artist’s own foundations through evocative formal relations of shape and colour.